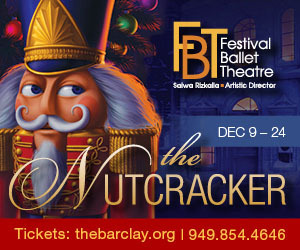 A cherished holiday classic, Orange County's premier ballet company, Festival Ballet Theatre presents the traditional full-length production of The Nutcracker. This family-friendly classical ballet dazzles audiences of all ages. 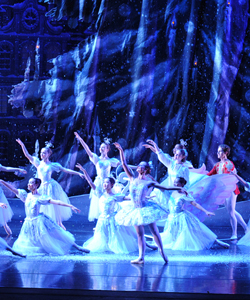 Children, adults and the young at heart will enjoy The Nutcracker's colorful scenery, magnificent costumes and sensational dancing. 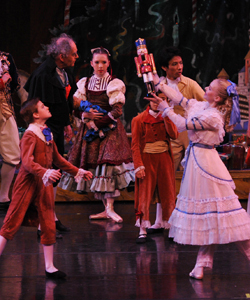 From the warmth of the Stahlbaum home to the magical Land of the Sweets, homegrown talented company dancers, children from across Southern California and famed guest artists are sure to create sweet holiday memories for your family. Action, adventure, excitement, and grandeur combine to make this a charming, swiftly paced entertainment as the Sugar Plum Fairy, heroine Clara, and a cast of hundreds take you and your family on a magical journey. This holiday celebration features dancing toys, mischievous mice, sparkling snowflakes and waltzing flowers. The beautiful Sugar Plum Fairy and her Cavalier are a highlight of Clara's adventure.